Home 3D printing 3D printed prosthetics have arrived… and they’re affordable! 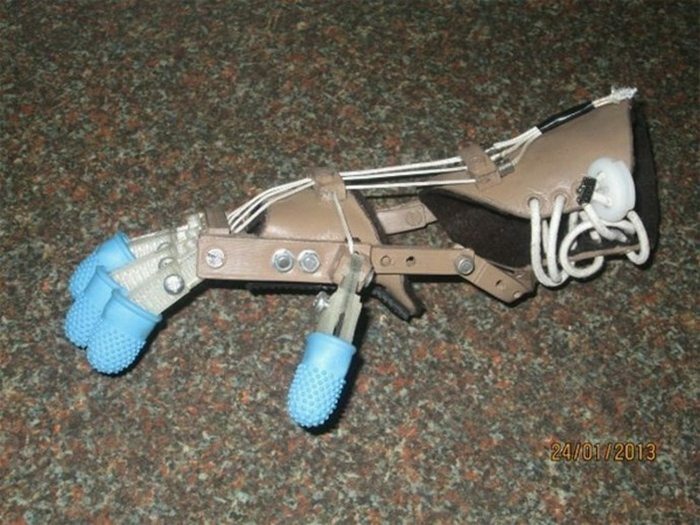 Robohand – possibly the very first printed prosthetic in late 2012. Basic perhaps, but life changing for the recipient! In the three years since, 3D printing, robotics and miniaturization have all taken giant leaps forward. So much so, that the dream has become a reality. Open Bionics are now gearing up to start full production in the northern spring, expecting to be able to deliver the fully functioning devices for less than £3,000. This compares to between £50,000 and £100,000 for currently available robotic prosthetic hands. Perhaps even more exciting is the fact that the whole project is open source, meaning that it will literally be possible to print your own hand. There can be no question that 3D printing will change all our worlds. Despite still being in it’s infancy, life changing innovations are being announced weekly. The thresholds are being lowered with sophisticated, relatively large format 3D printers now costing less than $1,000. At the commercial level, HP have announced their entry into the market with a printer that will print up to 50x faster than most desktop printers. It’s expected to cost around $30,000 but will undoubtedly tumble in price over the next two or three years. What is important is the advance in the technology which is soon disseminated to other printer manufacturers. We live in truly amazing times, don’t you think? Previous articleWhat will humans look like in 3015?